Axis Bank is the third largest private sector bank in India. Axis Bank offers the entire spectrum of financial services to customer segments covering Large and Mid-Corporates, MSME, Agriculture and Retail Businesses. The Bank has a large footprint of 1947 domestic branches and 11,245 ATMs which are spread across the country as on 31st March 2013. The Bank also has overseas offices in Singapore, Hong Kong, Shanghai, Colombo, Dubai and Abu Dhabi. Axis Bank is one of the first new generation private sector banks to have begun operations in the year 1994. The Bank was promoted in year 1993, jointly by Specified Undertaking of Unit Trust of India (SUUTI), Life Insurance Corporation of India (LIC), General Insurance Corporation of India (GIC), National Insurance Company Ltd., The New India Assurance Company Ltd., The Oriental Insurance Company Ltd. and United India Insurance Company Ltd. The shareholding of Unit Trust of India was subsequently transferred to SUUTI, an entity established in 2003. 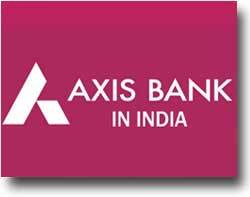 With a balance sheet size of Rs.3,40,561 crores as on 31st March 2013, Axis Bank has achieved consistent growth and stable asset quality with a 5 year CAGR (2009-13) of 26% in Total Assets, 24% in Total Deposits, 27% in Total Advances and 37% in Net Profit. The Bank aims to increase its share in the financial services sector by continuing to build a much strong retail franchise. The segment which has been continuously growing to be one of the key drivers of the Bank's growth strategy, encompassing a wide range of products delivered through multiple channels to customers. The Bank offers various complete suite of products across deposits, loans, investment solutions, payments and cards and is committed to developing long-term relationships with its customers by providing high-quality services. The Bank pursues an effective approach in customer segmentation strategy, the success of which is reflected in the fact that Savings Bank deposits grew at a Compounded Annual Growth Rate (CAGR) of 26.13% over the last five years. During the year 2013, Savings Bank deposits grew upto 23.44% to Rs. 63,778 crores from Rs. 51,668 crores last year. On a daily average basis, Savings Bank deposits grew 20.26% to Rs. 52,243 crores. The Bank has been able to maintain and also its approach in increasing the proportion of Retail Term Deposits. 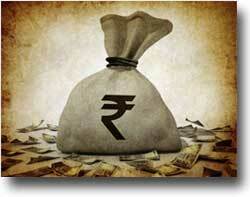 On 31st March 2013, retail term deposits grew upto 24.37% year-on-year to Rs. 59,531 crores, constituting 42.37% of total term deposits, compared to 37.20% last year. Likewise, the Bank continued to focus on increasing its share of retail loans in total advances. The retail loans of the Bank grew by 43.62% to Rs. 53,960 crores as on 31st March 2013 from Rs. 37,570 crores to the previous year. Retail loans constituted 27.40% of the Bank's total advances as on 31st March 2013, compared to 22.13% the previous year of which secured loans accounted for 87%. The distribution of specific portfolios within the Retail loan segment as on 31st March 2013 was as follows: home loans - 65%, loans against property - 7%, auto loans - 14%, personal loans and credit cards - 9%. The Bank also involves in the distribution of third party products such as mutual funds, Bank assurance products also with online trading and gold coins through its branches. The Bank is one of the leading banking distributors for mutual funds in India and distributes mutual fund products of all major asset management companies. These products are sold through the Bank's branch distribution network based on client requirements. The Bank also has been distributing life insurance products of Max Life Insurance Company and during the year 2013, it sold more than 1.86 lac policies with a premium mobilisation of Rs. 790.62 crores. During the year, the Bank has also entered into an arrangement with Tata AIG General Insurance Company Limited to distribute general insurance products. During the year, the Bank added 325 branches spread across 279 centres. The Bank added 1,321 ATMs during the year to reach a network size of 11,245 as on 31st March 2013 compared to 9,924 ATMs the previous year. The Bank has deployed 550 and also has Automated Deposit Machines (for cash deposits into customer accounts) and has extended this facility 24X7 in certain branches which have integrated self-service lobbies. Besides the ATM network, internet banking, mobile banking and phone banking have developed as important alternate channels of the Bank. Business banking which usually offers mostly transactional banking services, which is leveraging upon the Bank's network and technology. Its initiatives focusses on procurement of low-cost funds by offering a range of current account products and cash management solutions across all business segments covering corporate, institutions, central and state government ministries and undertakings as well as small and retail business customers. Product offerings of this business segment aim at providing customized transactional banking solutions to fulfill customer's business requirement. Cross-sell of transactional has been the banking products, product innovation and a customer-centric approach have succeeded in growing current account balances and realisation of transaction banking fees. As on 31st March 2013, balances in current accounts increased upto 21.55% and stood at Rs. 48,322 crores compared to Rs. 39,754 crores the previous year. On a daily average basis, current accounts balances grew by 4.73% to Rs. 28,698 crores compared to Rs. 27,403 crores the previous year. In the cash management services (CMS) business, the Bank focuses on offering customised service to its customers to cater to specific corporate requirements and improve the existing product line to offer enhanced features to customers. The Bank is also focusing on the host-to-host integration for both collections and payments, such as IT integration between corporates and the Bank for seamless transactions and information flow. The Bank provides comprehensive structure by the MIS reports on a periodic basis, for better accounting and reporting. CMS continued to constitute an important source of fee income and contributed significantly to generate low cost funds. The Bank is one of the top CMS providers in the country with the number of locations covered under CMS increased to 890 in 2013 from 801 in 2012. The number of CMS clients has grown to 15,818 in 2013 from 11,548 in 2012. The Bank has been acting as an agency bank for transacting government business to various central government ministries, departments, state governments and Union Territories. The Bank accepts income and other direct taxes through 406 authorized branches at 225 locations and also central excise and service taxes though 56 authorized branches at 14 locations including e-payments. The Bank also handles the disbursement of civil pension through all its branches and defence pension through 151 authorised branches. In addition, the Bank provides collection and payment services to four central government ministries/departments and 13 state governments and union territories. The Bank is associated with over 11 state governments towards undertaking Electronic Benefit Transfer (EBT) projects for disbursement of government benefits (wages under MGNREGS and Social Security Pension (SSP)) through direct credit to beneficiary bank accounts under smart card based IT enabled financial inclusion model. The total government business throughput during the year 2013 was Rs. 92,680 crores. The Bank is a SEBI-registered custodian and offers custodial services to both domestic and offshore customers. As on 31st March 2013, the Bank held assets worth approximately Rs. 12,511 crores under its custody, registering a growth of 6% over the previous year. To inculcate and live its motto of 'One Bank, One Axis' and foster a spirit of connectedness, the Bank hosts several employee engagement programmes and channels to connect its thinly-spread employee population across a widely dispersed geographical network. Through these platforms, employees can share their unique experiences, facilitate best practice sharing, cast their opinion and feedback about the Bank's products and services. The Bank also offers avenues for employee health and wellness initiatives throughout its network. The Bank has been conducting its main annual Employee Engagement Study to capture, analyse and draw action plans to enhance the engagement quotient. A third-party framework, which has been benchmarked as one of the best, is used for administering and analyzing the results of the study, with focus on measuring and improving employee engagement quotient. Taking concrete steps based on the study findings helps in building a stronger and more engaged workforce. The Bank seeks regular feedback from the employees on the policies and practices to ensure that it is in consonance with employees which is also an empowerment. Incidentally, the focus areas for the Bank's performance management system are Ownership, Continuous Process and Humane Touch, which are driven by strengthening the culture of performance feedback (both formal and informal). In addition to performance, the personal development plan of an employee includes a feedback on behavioural competencies for growth. Axis Leadership Practices (ALPs) are defined for employees at different levels of the hierarchy to promote desired behavior and to facilitate an objective assessment. The ALPs forms a framework for all the people processes in the Bank. These is an integral part of processes like Talent Acquisition, Performance Management System, Promotion, Talent Appreciation, Leadership Development and Feedback. The Bank has partnered with the best in class leadership trainers of the country to provide key position holders and unit heads the fundamentals of managing self and team leadership though a series of 'Inspired Leadership' workshops. The Bank has also launched an inhouse multi-rater feedback tool 'ALP Compass', based on the Axis Leadership Practices. The strength of the workforce was 37,901 at the end of the year 2013 as compared to 31,738 last year. A young workforce with an average age of 29 years and the Bank's policy of being an equal opportunity employer continues to significantly contribute towards emergence of the Axis Bank brand. The Bank inspires everyone to excel and contribute to, irrespective of gender, race or age, and this echoes in all HR initiatives undertaken. The Bank is also a socially responsible employer. Apart from housing its own NGO 'Axis Bank Foundation', the Bank has partnered with Teach for India for promoting the noble objective of providing education to underprivileged children. The Bank continues to strive towards realisation of its vision of being the preferred financial service provider excelling in customer delivery through insight, empowered employees and smart use of technology. As an integral part of the society, the Bank is very much aware of its corporate social responsibilities and has been engaged in community and social investments. For this purpose, the Bank has set up the Trust - the Axis Bank Foundation (ABF) to channel its philanthropic initiatives. The Foundation has committed itself to participate in various socially and also relevant endeavours with a special focus on providing sustainable livelihoods, poverty alleviation, education of the underprivileged, healthcare, etc. The Bank has decided to contribute up to one percent of its net profit annually to the Foundation under its CSR initiatives. The Foundation is constantly engaged in identifying the right target group and ensuring that support reaches the ultimate beneficiary. Presently, the Foundation is running 40 programs across 163 districts in 19 states, targeting 7,27,059 beneficiaries. The Foundation has been providing support to various initiatives in education, targeting underprivileged children. Presently, 23 programs are running in the field of education covering 33 districts in 13 states promoting supplementary education, education for the mentally/physically challenged, hearing impaired, visually challenged, etc. The Foundation also works for providing highway trauma care and rural medical relief. The Foundation has been working with Lifeline Foundation since 2007 for supporting the highway rescue projects in the states of Maharashtra, Kerala, Gujarat and Rajasthan. It has provided aid to around 7,500 critical accident victims and more than 15,000 minor accident victims. The Foundation aims to provide one million livelihoods to the underprivileged in some of the most backward regions of the country by 2017, 50% of the beneficiaries being women. The Foundation has so far partnered with 17 NGOs to provide sustainable livelihoods and has launched projects in partnership with these NGOs in the states of West Bengal, Odisha, Tamil Nadu, Maharashtra, Jharkhand, Chhattisgarh, Bihar, Uttar Pradesh and Madhya Pradesh. These programs aim at alleviating poverty and help in providing sustainable livelihood options. Presently, 17 programs are running in the field of livelihood covering 136 districts in 17 states. The Foundation is also actively involved in implementing several initiatives in Green Banking. In line with the Bank's initiative in Green Banking with the theme of 'Reduce, Reuse and Recycle', the Foundation has initiated the process of collecting all the dry waste, generated in the Corporate Office and seventeen offices of the Bank in Mumbai and recycle it into notebooks, notepads and envelopes. This initiative launched in August 2011, has helped recycle around 87,206 kilograms since inception. The Foundation also has an Officer Engagement Program, which encourages officers of the Bank to get involved in various volunteering activities.